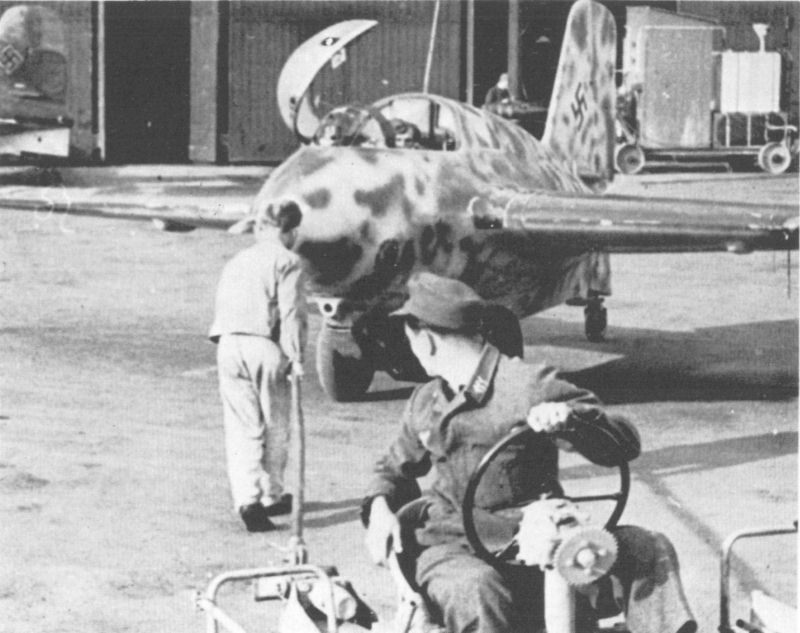 A very nice picture of 'White 14' parked in front of the hanger, while the crew is backing up the Scheuchsclepper tractor to attach it to the Komet. The gun port of on the left side is taped over. The wing leading edge is slightly scuffed, more than likely by the fuel hoses during refuelling operations. The attachment of the pitot tube appears to have a reinforcement similar to that seen on the surviving NASM example. In the background a Walter engine test stand (right) and another Komet (left) can be seen.